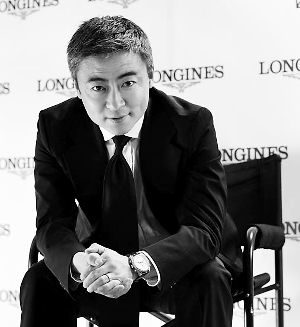 The Chinese Luxury Market is now the most sizeable in the world. With burgeoning levels of wealth and disposable income come changing expectations from consumers. Despite this sizeable market, unless you are already an established brand in China you have some work to do in terms of carving out a unique brand image and increasing your reputation. TARGETED VISIBILITY & REPUTATION ARE A LUXURY BRANDS GREATEST ASSET. Targeted Visibility & Reputation are a Luxury brands greatest asset in a ‘digital centric’ market. As a luxury proposition you need to build this strong brand reputation by focusing on particular platforms and communities. The discerning Chinese fashionista spends on average 2 hours per day browsing online. For high value products the level & degree of research by the consumer is typically higher. Anyone who’s spent time in China will instantly notice how digitally orientated this modern society has become from WeChat, to Cross Border Commerce, Shopping Forums & PR you need to make an impact to your target demographic in the online sphere if you are going to drive sales. This is often a case of the famous ‘Little Emperors Syndrome’, increasing family wealth coupled with the One Child Policy led to whole family units catering for a single child. As a result, more funds have been available to Millennials from wealthy backgrounds coupled with an insatiable consumer demand for quality brands. With such a huge surge of luxury enamoured youths across China, tapping into this market and building brand loyalty can pay dividends for years to come with individuals so early in their consumption life cycle. This is a conundrum for many brands, do they approach expensive Chinese distributors and get their products stocked on shelves or is there a more cost-effective method? 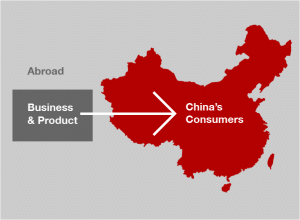 Chinese distributors are notoriously selective about which products they promote; they are looking for pre-existing sales, do not engage in branding (this component cannot be ignored!) and can be ruthless with a reputation for ‘racing to the bottom’ on price and service. For luxury these are images you’d certainly want to avoid as a serious market entrant. The better approach is to build your brand, generate sales through cross border platforms & drive qualified prospects through digital efforts. Once a brand is more established and has sales figures higher quality distributors are keen to take on the product that work with other well-known luxury names. Particularly in Luxury no part of the image and service can be compromised. Validate your concept online first, generate sales and then develop your distribution. Alibaba’s flagship platform Tmall is reserved only the for most successful players, 85% of brands are rejected from Tmall, Why? Because Tmall tend to select brands that already have a large following, a strong image, reputation and significant sales evidence from China. Jingdong (JD) is not dis-similar with a strict application procedure. If applicable setting up on Tmall can be huge exposure for Luxury. The end goal for Luxury is to open stores on Tmall & JD as these are the most reputable cross border platforms. The budget must also be in place for the more expensive set up and associated costs. The alternative route for new luxury products in China is to build up to these largest e-commerce displays on more niche, yet highly valued platforms such as WeChat Stores, Little Red Book, Hupu, T Global E-Luxury & more. In addition, you can follow the following steps to start selling online without such a huge outlay that still yields a significant return on investment. Validation of your luxury concept in this market-place should be a priority. It’s not as simple as it sounds to build a great website in China. Avoid the typical Chinese web formats and opt for a sleek, clean cut aesthetic akin to your pre-existing site. You cannot simply just create a bi-lingual Chinese add-on as it is best to host the site on a local server with a .cn domain. This involves building the site locally, in addition when it comes to visibility on Baidu (China’s Google), the sites needs to be a ‘vehicle for visibility’, that is optimized for Mandarin keyword searches. 75% of all online research is conducted via Baidu. Content should also be re-adapted for this market with local search terms and keywords in mind, this allows you to place your content in front of the most qualified search traffic in the luxury sphere. Visibility is achieved through Pay Per Click ads (forget Banner Display in China) as well as SEO, increasing the site ranking in the natural search results on Baidu, this typically drives the highest quality traffic in terms of sales conversion rates. Consumers are already searching for Luxury products, appearing on a search ranking beneath a well establish brand can be a powerful method for generating traffic and sales. KOL’s are all the rage currently, and for good reason. They offer a powerful infrastructure for luxury to reach Chinese consumers. The key is to target the right KOL’s that reach the high-net-worth demographic, it’s a case of focused exposure. KOL’s with their existing reputation transfer this when they back a quality product. Posts need to be curated and crafted by your brand itself, KOL’s just post to their following. The best approach to is to treat KOLs as an ‘echo chamber’, have a range of different KOL posts launched at the same time on different sources to support each individual post effort. The next point to consider is that the KOL post by itself is not enough, the post needs to be actively monitored, questions answered and conversation promoted. You can pick up new followers by engaging in conversation, this type of ‘social marketing’ is vital on all Chinese social media where consumers engage with brands as like individuals, rather than typical business entities. Let’s talk about ‘Daigous’, these are ‘personal re-sellers’ that are far more active than KOLs (although do not typically have the same huge followings). 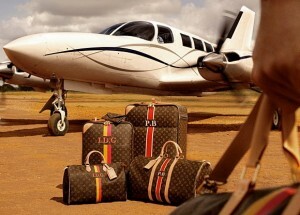 Despite this tapping to ‘Daigou Networks’ remains a very effective approach for new luxury. You will need to be selective about which Daigous to approach but by selling at wholesale or discounted price to entrepreneurial individuals you can watch product lines spread throughout their networks. They will re-sell to their social circles and wider groups, why is this effective? First off it’s a personal recommendation, it carries a lot of weight. Secondly, it’s great to achieve sales at an early stage of a market launch. Finally, it’s a branding tool, if you select the right individuals they will act as a living advertisement for the product lines. Chinese consumers are extra-ordinarily active on forums, in western digital markets they are old news but in China remain a powerful way of influencing sentiment & building a positive reputation. There a host of platforms to consider, the most important are Baidu Zhidao, Baidu Tieba, Zhihu, & Tianya. 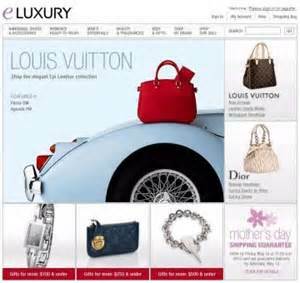 Consumers are active in threads devoted to luxury products, they will share recommendations, images, shopping experiences and thoughts on brands. Here you can adopt a ‘covert strategy’ where user accounts can be created to engage in user to user discussion, external links referenced and positive brand testimonials posted. In this setting a consumer’s recommendation is very powerful. In addition to this exposure on such forums links to exposure on Baidu, forums rank highly in the search results so it’s vital to cultivate a positive reputation here. Comments, posts & discussions will be seen. 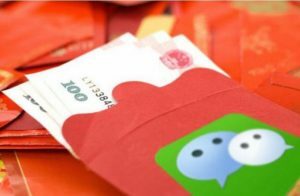 WeChat now boasts over 877 million daily active users, a new record for China’s number one social tool. WeChat is a ‘swiss army knife’ for brands when it comes to pushing content, branding and engaging with followers. The first step is to create a quality account, when it comes to Luxury the best bet is to create a ‘mini site’ hosted within WeChat itself and built in HTML5. This is then optimised for a smooth user experience. These mini-sites are highly customizable, only limited by a brands imagination, you can really build your identity here. Next you need to drive traffic to your WeChat account, linking your WeChat QR code (link) with your website allows for users to scan through, otherwise you need to be active, sharing quality content in groups & incentivizing followers to re-post content to their community. 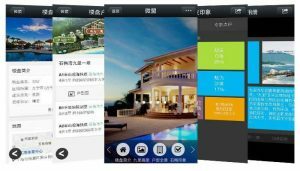 WeChat is a content led and content rich platform, sometimes even referred to as the ‘WeChat Times’, for a luxury aesthetic HTML5 content is always preferable. You can attract followers through re-posts (WeChat has a strong sharing culture), special offers for those that comment on / share content as well as building user interactivity into your mini-site. 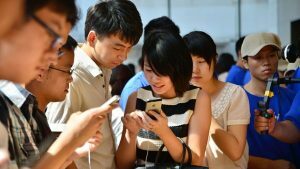 Weibo is China’s most ‘open social network’, users can see posts from anyone and do not have to be connected first. In this sense it promotes content sharing with many KOL’s, Influencers and Daigous sharing with their communities here. Weibo is akin to Twitter, it’s a microblog so focus on short posts, pages can once again be customized with branded content as a backdrop. On Weibo you can promote sales through re-posting consumers comments, relevant updates and ‘purchase images’. In China it’s a very popular part of purchasing to share images on social media, particularly in luxury as it connotes social status and prestige. 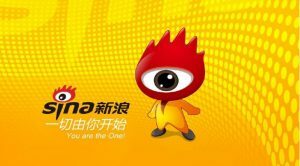 Alibaba (China’s ecommerce giants) now own a large stake in Weibo so expect this nifty platform to become more e-commerce friendly for brands as time goes on. 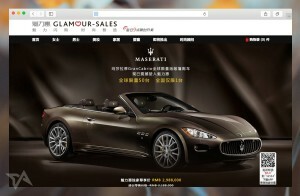 Most Brands in this Chinese Luxury Market are using Weibo. Luxury brands need to adapt to the most startling and unique Chinese e-commerce feature, the pre-dominance of social media & it’s fusion with e-retail. China leads the world in what has been termed ‘social commerce’. WeChat stores are the best and most effective example. These are stores hosted within this app that are linked to an official account. Stores on WeChat are static, they are not promotional vehicles themselves, you therefore have to actively drive traffic to your store BUT they lend themselves to desirable purchases. Payment is made extremely convenient via WeChat Pay (linked to a users banking). At the swipe of a screen payment is made instantly. Stores are highly customizable and feature 10-15 SKU (product pages). When it comes to the luxury demographic comparing your product and brand concept with other competitors is an important part of the research process. It’s good to study brands that have made huge in-roads into China, local competitors as well as failed examples to learn from. The road to brand success is paved with lessons to learn from others in China. Many fashion labels now conduct market surveys prior to entry to establish their positioning and strategy. It’s also important to understand your target consumer and how they behave online in a very different digital sphere. Online sales are the priority however click through rates, impressions and views all amount to establishing a brand that can sell well to local consumers, this does not happen over-night & requires intelligent strategy.